Just for fun Shelley and John went out for a bimble at Cape Greko. So many Moray Eels, we decided to call the video "Moray-ly Bobbing Along". With the festive season fast approaching, we all find ourselves with lots of nights out and parties to attend to celebrate. Be it with friends, family or work, it is easy to find yourself over doing it with the alcoholic beverages but if we are diving during this season, how can this impact our health? Obviously, we all know the risks of drinking too much and most of us wouldn't even consider having an alcoholic drink before we go Scuba Diving but just like driving the morning after a big night out, can alcohol still affect us while we dive? The answer is a big resounding YES!! 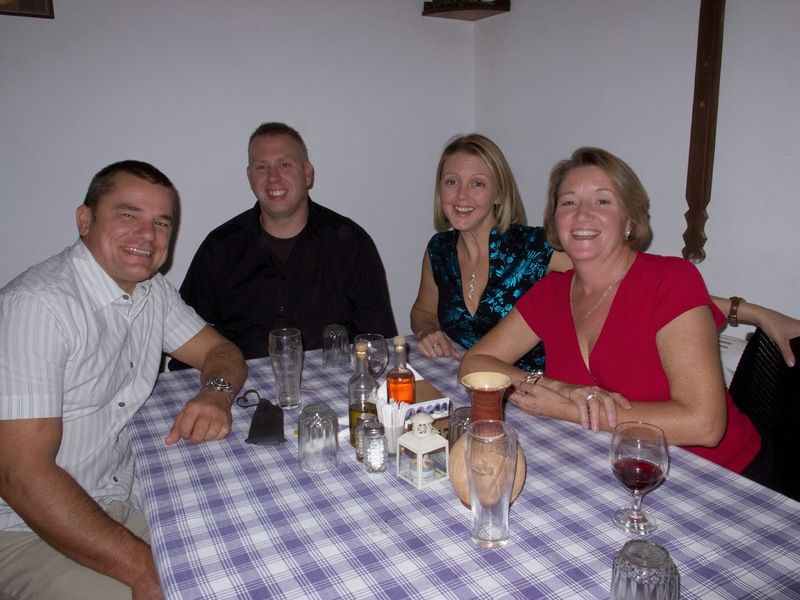 It takes time for our bodies to metabolise alcohol in our systems and there are no hard and fast rules. Like diving and Nitrogen off-gasing, everyone is different and everybody's metabolic rate can vary. Tests have shown that a diver's ability to complete skills on Scuba is dramatically compromised with a Blood Alcohol Concentration of just 0.04% which is less than the legal limit for driving a car and, after a late night drinking, can easily be the level left in your body the next morning. Which leads us quite nicely onto our next problem with drinking the night before diving. Alcohol Drains Energy by impeding the liver from producing the body's primary energy source, Glucose. This can leave you feeling tired and lethargic. 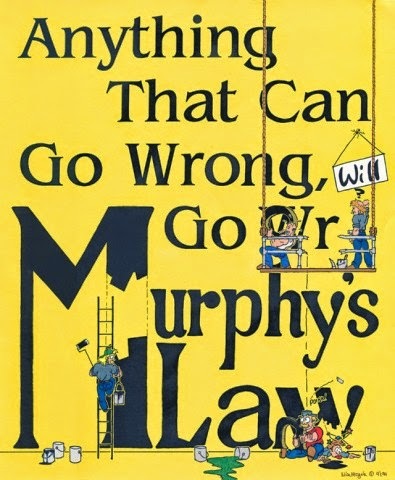 If Murphy does show up on your dive, you want to have a bit of Energy in the bank to be able to deal with the unexpected. A lack of Energy can leave you incapable of dealing with it safely and expediently. Feeling chilly? Have a wee dram of brandy to warm your cockles, right? Alcohol actually works to dilate the blood vessels close to the skin, allowing blood to flow closer to the surface, which makes you feel warmer but with blood flowing away from the core and so close to the surface, you lose heat and chill faster. We have touched on Dehydration and Diving in previous articles and discussed all the risks that entails. 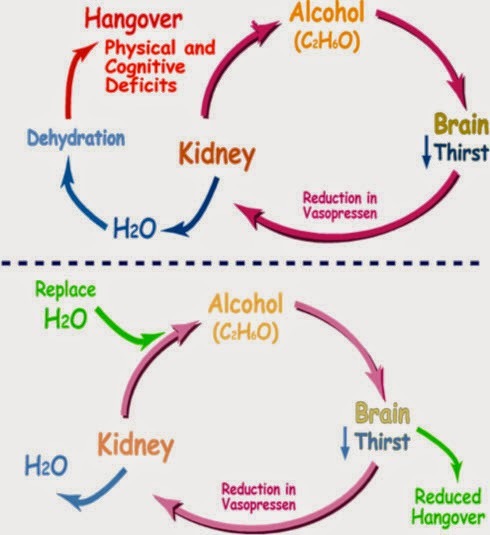 In brief alcohol affects the kidneys, which is going to lead to a loss of body fluids and when you combine this with the dehydrating effect scuba diving inherently causes, we greatly increase the risk of DCI. So, the take-away from this blog is not kebab and cheesy chips or to put a damper on your Christmas festivities. This is just a reminder that if you are scuba diving, take it easy the night before and after your dives. You don't have to abstain completely but moderate your alcohol consumption and maybe switch to soft drinks after 11pm to give your body a good 8 hours, at least, to metabolise the alcohol to an acceptable level. Long Hose Diving from the beginning. Currently teaching a TDI Advanced Nitrox Course to one of our Divemasters here at Scuba Tech Diving Centre and we found ourselves having lunch in the sunshine discussing the merits of using the long hose configuration. Now, the long hose Hogarthian configuration is used in all technical Diving and Sidemount diving standard equipment set up and yet, for recreational scuba divers and beginners, we still start off using the standard 75cm regulator hose/ 90cm alternate configuration. What is the Hogarthian Long Hose set-up all about? The Hogarthian is actually named after its creator, William (Bob) Hogarth Maine. Bob was a cave diver that developed the Hogarthian Set up as a means to more efficient dive practices, keeping things simple and ultimately... safer! The Hogarthian regulator set-up comprises a second stage on a short hose (60-75cm usually depending on the size of the diver using it) which is hung from a bungee around the neck. The long hose is usually 1.5 to 2.1 metres in length and comes under the right arm, up over the left shoulder and around the back of the head to the mouth in a big circle. This is your primary regulator but also, the one you would donate in an Out of Air emergency. Why is Hogarthian Long Hose configuration better? You always have an alternate air source around your neck, so if you were to lose your primary regulator for any reason, you have something easily accessible to breathe while you relocate it. This offers you the life saving gift of time to sort the problem. In Out of Air situations, you donate your primary regulator and switch to your back up around your neck, which has the advantage of giving the out of air diver, what they can see is a working regulator. 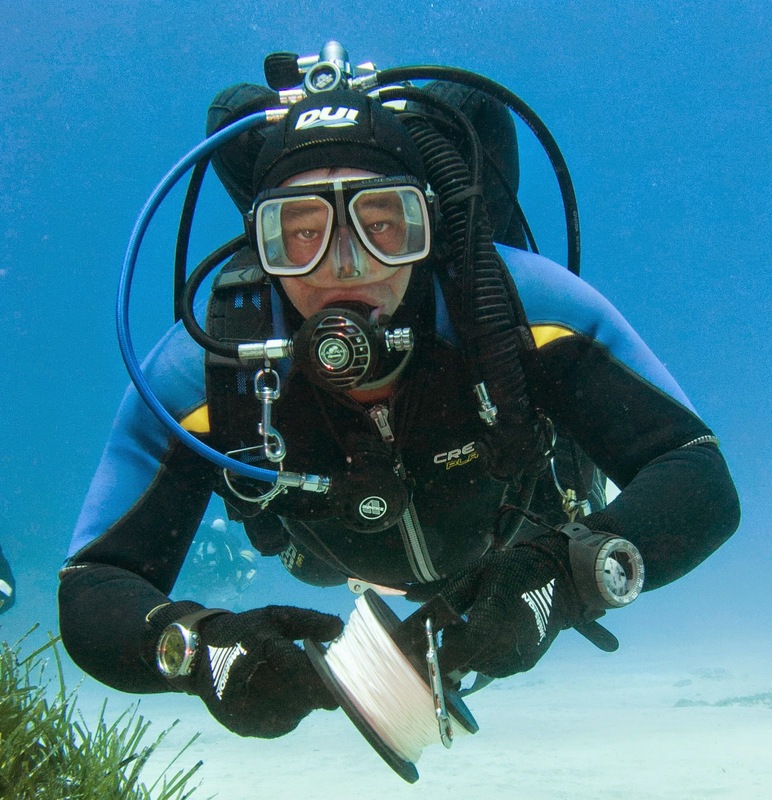 In a panic situation, it is not unheard of for divers to grab the regulator out of your mouth. With this system, all you need to do is dip your head forward to free the long hose and switch to the secondary regulator around your neck. An added advantage is the long hose offers a bit of room for manoeuvre and it is workable even if you have your emergency inside a wreck or other overhead environment. You also avoid that pesky dangling alternate air source that gets loose regardless of how well you clip it up to get a cleaner, tidier, more streamlined set-up. Why don't we teach this from the start? This brings us back to the question of why we wait for technical diver training before most agencies implement this system of diving? On the very first training dive we ask our trainees to "lose" their regulators behind their backs and control their breathing while they relocate them. Why not KISS? If they lose the reg, swap onto another working regulator so they have time to solve the problem. In a hostile environment, we need all the help and simplicity we can get, so it makes sense... doesn't it? Christian came to Cyprus with the sole intention on trying a rebreather. Of course, where else would he go than Scuba Tech Diving Centre in Protaras to try under the careful tuition of Megalodon Rebreather instructor, Peter Crane. Peter has been teaching divers on the Megalodon Rebreather since 2009 and loves introducing divers to the wonder of Stealth and Bubble free. In his words... it is Marvellous!!! There is a new course being released by PADI for all those scuba divers out there who haven't been in the water for a while...ReActivate! It is stressed to divers from the very beginning of their Diving journey that, should they endure a period of scuba inactivity, they should refresh their skills before jumping back into similar kinds of diving from before the break. In days gone by, this would mean taking a Scuba Review, which involved a theory refresh with the Scuba Review manual (or Open Water quizzes and Exams) and a pool session to practice all those Open Water course skills before hitting Open Water again. This has now been replaced by the PADI ReActivate Course. How is it different to Scuba Review? The PADI ReActivate course knowledge refresher is completed online using the reActivate Touch or ReActivate Online depending on whether you wish to use a PC or device. 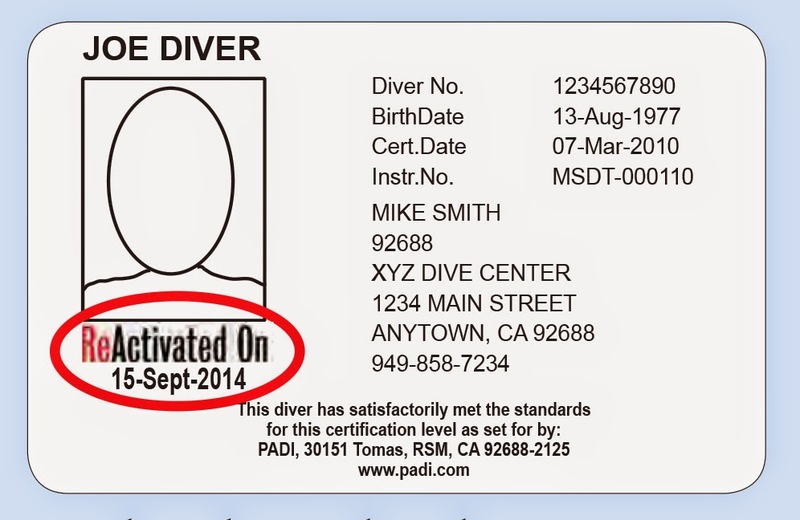 Completing this and mastering the scuba diving knowledge, shown through completion of the ReActivate quick review, earns the diver a Reactivate Certificate. However, to earn the full ReActivate card you must also complete the in-water, confined skills session. Unlike the Scuba Review, this is not simply a case of completing mandatory skills. The aim of the ReActivate program is to focus on the student's strengths and weaknesses, so the whole program is more personalised and focused on the individual. Following this, the instructor would be required to observe the student divers as they plan the dive, assemble the diving equipment, complete the pre-dive safety check, enter the water, equalise, descend and achieve neutral buoyancy providing tips and reminders as they proceed. Any skills needed will be demonstrated and the diver can practice until mastery is achieved. Remove, replace and clear the mask. Become neutrally buoyant and hover. At the surface in water too deep in which to stand, with a deflated BCD, use the weight system’s quick release to pull clear and drop sufficient weight to become positively buoyant. Ascend properly using an alternate air source and establish positive buoyancy at the surface. Act as both donor and receiver. So, as an upgrade to an existing course, the Reactivate program should be a much better way to improve the skill and confidence of a diver who has been out of the water for a while. The personalised approach is much more efficient than the "one size fits all" method employed in the current Scuba Review. The Scuba Tech Diving Centre gang take a road trip out to the Limassol wrecks. This is the Lady Thetis and you can see the difference in fish life already from earlier videos in the year. Cannot wait to see what next year will bring! Well, we have had a bit of a break from blogging over the past couple weeks, as things have been hectic over here in Cyprus with dive training courses and safari diving, Now, however, the winter season is upon us and things are starting to settle down a bit. Conducting all these dive courses over the past weeks has brought, once again, to the forefront of our minds the problems that divers often have with training courses, regardless of level. From a Try Dive, PADI Open Water to TDI Advanced Nitrox and even Trimix courses, how can you get the most out of your Dive Training? To get the most out of any kind of training, you simply have to be interested in the subject matter. 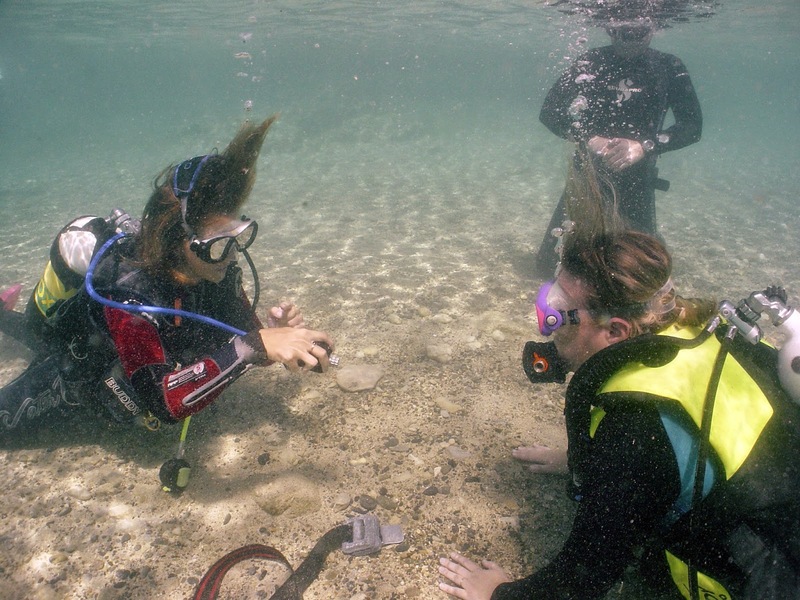 Before beginning any Open Water Course, we advise the student to take part in a try dive session to make sure they enjoy Scuba Diving before investing in the manuals and possibly equipment. There is nothing worse than spending a whole lot of money to realise that this isn't the sport for you, even if those people are few and far between. Equally, although it is nice to have a common sport in families and partnerships, if your husband, daughter, friend etc. really isn't interested in Scuba Diving, they won't get out of the courses what you want them to. Everyone should try it! Most people love it! But don't force it. 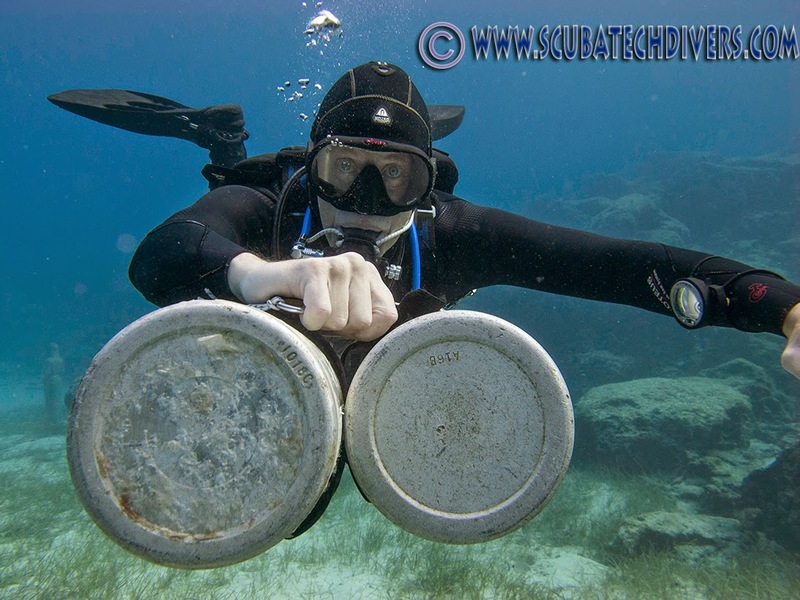 Technical Diving and Sidemount Diving are another aspect of the same thing. We have seen a number of divers coming to Cyprus who just want to scuba dive but because Tech diving and Sidemounting have taken off in such a big way, they are worried about being left behind. This Diving is NOT for every Diver and if it isn't something that really interests you, then leave it alone. There are plenty of dive sites for recreational diving, and plenty of training courses you can take to maintain your interest and keep learning, so stick with what you enjoy. When we teach Scuba Diving, an instructor will usually brief the dives and the skills on land before getting in the water. Once in the water, we will demonstrate the skills for you so you see how they should be done before you try them yourself. Listen to the briefings and try to visualise yourself doing what the instructor says. Even mimic the action on land before getting in the water to start building that muscle memory from the beginning. The instructor will also be able to give you tips drawing on his experience of where other students go wrong and paying attention to this will hopefully, prevent you from doing the same thing. Dive Students, of all levels, often try and race through new skills in an attempt to get them over and done with. The problem is that when you rush through a new skill, you do not give yourself enough time to consider what the next action should be and it tends to go a bit wrong. When you relax and take your time over completing a new skill, you give your brain time to process what comes next and you are more likely to get it right. And, if the skill is an emergency drill that needs to be completed as fast as possible, such as shut-downs on a twinset, don't worry. As you practice the drill and it becomes muscle memory for you, the speed will come but get the steps correct to begin with. If you are learning something new and just don't feel like you are "getting it", it can be very frustrating and it is very easy to start to feel like you cannot do it! The reason we take a course is to learn. If we could already do it, why would we need to pay someone to train us and of course, learning something new will inevitably mean doing something until you can do it right. People also learn at different paces and in different ways, so a good diving instructor will be able to help you grasp those diving concepts regardless of the kind of learner you are and how long it takes you. Again, this comes down to learning something new and the old adage that "there are no stupid questions". You are paying your instructor to teach you something and so if there is something that you don't understand or you do not know, ask them and they will happily answer any questions you have. We extend that for our student divers and everyone who leaves Scuba Tech knows that if they ever need information about equipment, training or scuba diving in general, we are always at the end of an email or the telephone.